If you wish to schedule a meeting on another's behalf, or if you want another person to schedule meetings for you, the person who is to book these rooms needs to be given "Author" rights to the relevant calendar. 1. Go to calendar view and select "Calendar Permissions"
2. Click "Add" to add the person you wish to grant access to your calendar . 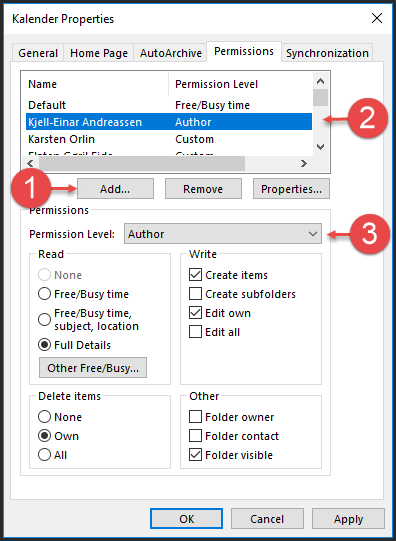 Next, select the person you just added , set Permission Level to Author,  and click "OK". 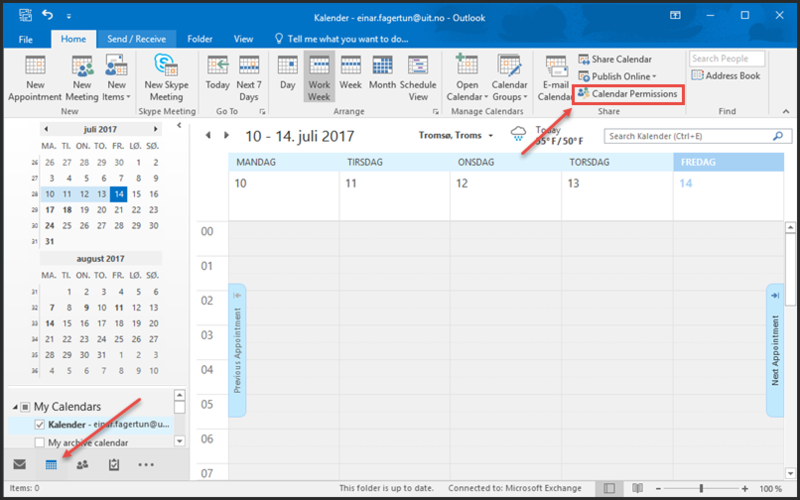 The person you have given access to your calendar will need to restart Outlook before they can reserve meetings on your behalf.